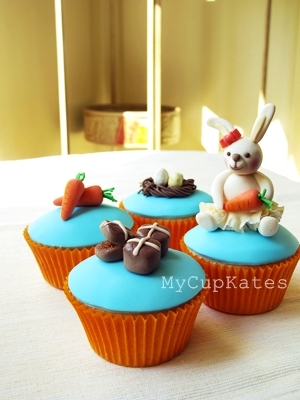 Easter holiday is just around the corner. with lots of rides, animals, crafts and show bags! 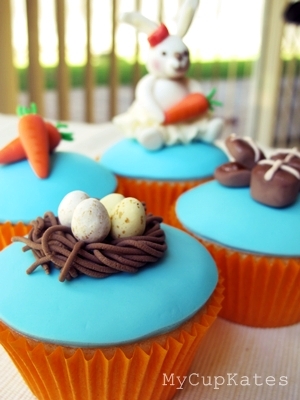 which have hot cross buns, an Easter bunny, carrots, chocolate eggs in a nest..
and the rest are going to be classic chocolate cupcakes with Easter eggs decoration. 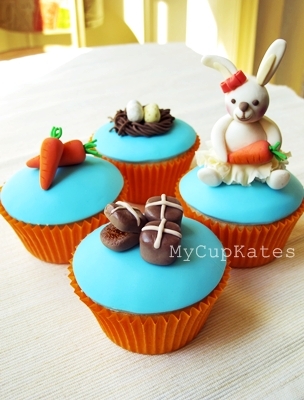 I love hot cross buns..toasted, with lots of butter..
so I had to make them on Easter theme cupcakes.. 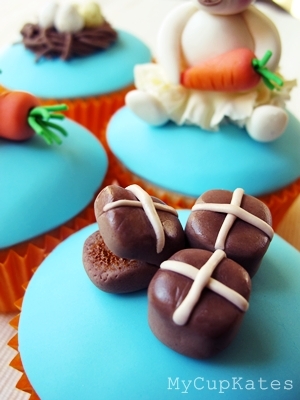 I should call it chocolate hot cross buns if you don't mind. 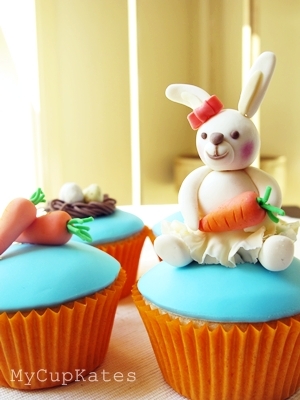 'Happy Easter' or 'Good Friday' are available on carrot & hot cross bun cupcakes. you are always welcome to e-mail or text me.